A report hierarchy table defines the dimension hierarchy for drilling down into the profit-and-loss report. The number of levels in the hierarchy is a critical decision in model design and is subject to the ultimate reporting needs of the business managers to make decisions. 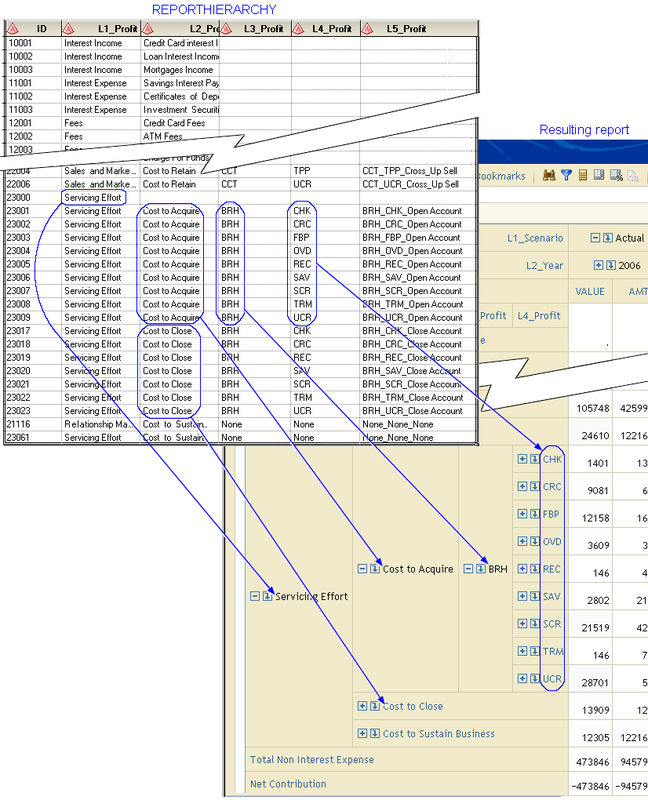 A model can have multiple report hierarchies, but each table can define only one hierarchy. The order of the columns is significant. The name of the column is arbitrary, except for the ID column. The number of levels is arbitrary. Note: The name of this column must be ID. The following graphic illustrates the relationship between the behavior table and report hierarchy. In it, you can see that items in the behavior table occur at the lowest level in the report hierarchy table. Because the hierarchy can have different depths at different places, this means that the behavior table items can occur in different columns (different depths) in the report hierarchy table. Also, note that intermediate levels can correspond to custom dimensions (for example, the channel and product dimensions at levels 3 and 4) but they do not have to. 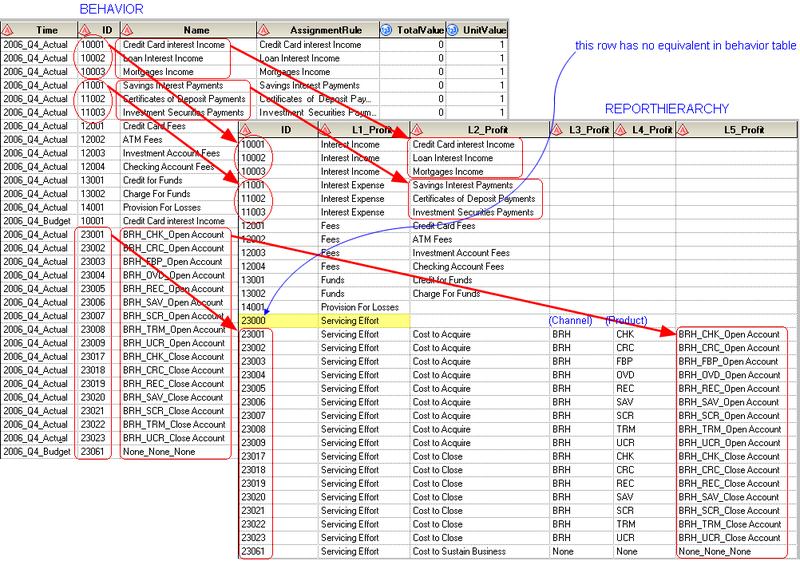 For example, interest income and interest expense (in the first six rows of the report hierarchy table) have no existence outside the report hierarchy table itself.